This entry was posted in Rite and Rituals and tagged Advent, Christmas, Church Insiders by Timothy Brown. Bookmark the permalink. Tim: your point about Christmas, and especially about the myths of Luke and Matthew are precisely why the old wisdom of the lectionary at Christmas is important to also reclaim. Read the Luke narratives on Christmas eve, but on Christmas Day (and do not neglect to worship on Christmas Day) read and proclaim the prologue from John’s gospel, which is not about shepherds, angels, or wise ones, but about light coming into the world and about our reluctance to see the light. And, I think you are so very right about your invitation to quit beating each other up about what music we sing or listen to: your metaphor of the car tire is brilliant! Please keep writing and preaching! Right on! Thanks for putting in words and perspective what I have been feeling for a long time. I like this idea, but am curious as to ideas of how to put this into practice. As a young adult who never experienced or understood Advent (aside from the chocolate candies! ), it would be nice to have some perspective as to what Advent was & how it could be revitalized. Thank you in advance for any insight you are able to provide! A great question. And challenging. Advent is a season marked by spiritual practices akin to spiritual housewarming (as opposed to Lent, which is more like a housecleaning). 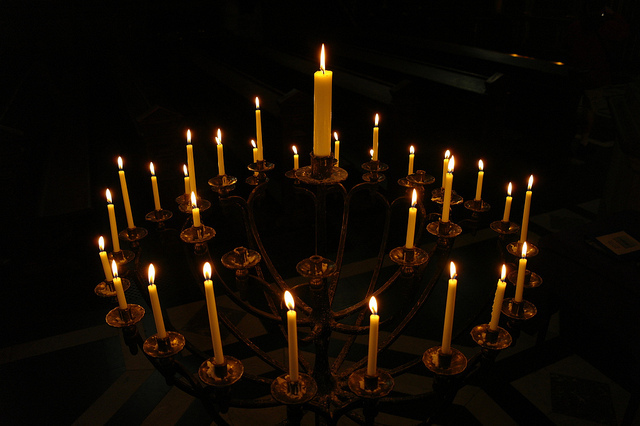 It’s a communal practice of lighting candles, singing simple songs, reading and speaking about hope in the context of impatience and anxiety, and welcoming strangers into your presence much like you would a traveler stopping by your home late into the night who needed help. I think the most important piece of that is the communal aspect. Advent is where we practice waiting in faith together by candle light so that we build that spiritual muscle enough so that it does it on its own when needed. Private devotions, and candle lighting at home will also mark the season. Intentional quiet not for repentance, but for reflection will also help. It’s not stark by any means, but intentionally simple and cozy and hopeful in the darkest days of the year. I hope that helps some, Amber! What comes to mind in reading Amber’s comment and Tim’s reply is the practice of walking a labyrinth. It is used by many Christians, but is not a specifically Christian practice. Anyway, the idea is that you will reach the destination, but at times you are moving away from the destination, and then tantilizingly near, and then away again. Kind of like life. Tim, I love this post. Thanks. This morning a friend asked me for “good religion/spirituality blog recommendations” and I thought of yours right away, and THEN read this post and smiled because you proved me right. A high-five to you, sir. And to you, Andrew. Blessings this Advent! In a world of instant gratification, waiting might be one of the most powerful counter-cultural things we can do. But can I keep my Star Wars Advent Calendar?